Avoid paying over 500% interest! It’s happening across the province. Not only with you. The repercussions of the late-2014 Alberta oil slump continue to be felt even now and the growth of what some economists call the Payday Loans Edmonton epidemic is spiraling out of control and if you find yourself affected by it, you have to know what all of your options are and avoid the temptation of taking quick money you’ll end up regretting. 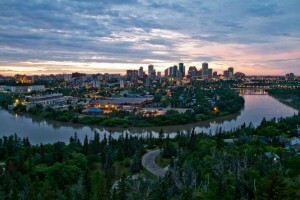 Edmonton’s job market continues to shrink while the cost of living won’t stop rising and the quality of life Canada’s Oil Capital once enjoyed now costs as much as double for some households, which explains why the Payday Loans Edmonton epidemic has grown as rapidly as it has. The sad reality is that the players who make up Payday Loans Edmonton Inc are well aware that the average Edmontonian is now just one urgency away from desperately needing a predatory loan at exorbitant interest rates and high-pressure repayment schedules. It really isn’t cool, but without desperation working for them these lenders wouldn’t be able to make a dime. Whether it’s a dental loan for the removal of wisdom teeth, pressing car repairs or taking care of a pet…there are many reasons the average household finds itself needing more money than it already has. If you don’t have an emergency fund that can keep your boat afloat when these issues arise, just know that there is an alternative to payday loans Edmonton can count on. So is there an alternative to these dingy neon-lit cornershops? You bet there is. Is there a key difference in the fight between LoanAway and Payday Loans Edmonton Inc? Yes, in fact there are several. The average employee you find working for Payday Loans Edmonton Inc has no background in any area of finance. So why should they have any say in your credit-worthiness or deciding how much the amount of your loan should be? At LoanAway, all of our specialists are career professionals – they’ve studied finance and have been trained extensively to receive, assess and approve loan applications in an efficient manner that reflects your needs. They understand that if you’re applying for a loan it means you need it sooner rather than later. How quick are our loans issued? The application process can take as little as 8 to 10 minutes if you have all the required documents ready for the application. Once approved, you’ll get your money sent to your bank account in as little as 24 hours. Payday Loans Edmonton Inc doesn’t move anywhere as fast as we do, but the irony is they sure are in a hurry to make their money back and give you high-pressure repayment schedules. LoanAway offers you the flexibility of repaying your loan over as many as 36 months. How about the loan difference? LoanAway will quickly approved qualified candidates for a loan of up to $5000. Payday Loans Edmonton Inc on the other hand will drag you through the mud before approving you and will only offer you a maximum of $2000. That’s all there is to it. That’s all there should be to it. So do you really want to pay insane interest rates on your loan? Do you really want to wait days for that money to come? Do you really want to be forced to repay a loan that was much smaller than what you needed in a time frame that doesn’t work for you? Of course you don’t. Forget about Payday Loans Edmonton Inc and come to LoanAway and speak with an agent that understands your situation and wants to help you out as best they can. By choosing to go with LoanAway, you can have a loan for whatever it is you want to use it for. Could you use some time away from all the stress in your life? We’d be happy to provide you with a vacation loan so you can recharge your batteries. Perhaps you’d like to sell your home and move on to better job prospects? Get a home renovation loan and add extra value to your home before putting it up for sale. Our customers also use loans to consolidate debt and pay for expensive dental surgery. Is this your first time considering a personal loan from a private lender? We completely understand if you have questions about how things work and what you can expect from your experience. That’s why we invite you to call in and chat with one of our agents before filling out our quick online application form. Our agents have all the knowledge required to answer what questions you may have and also go into greater detail about the pitfalls of payday loans.